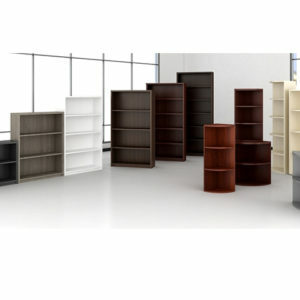 We stock bookcases in wood, laminate and metal. 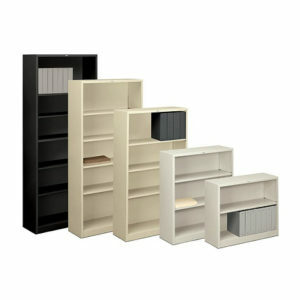 Many other styles and sizes are available from the many manufacturers that we represent. 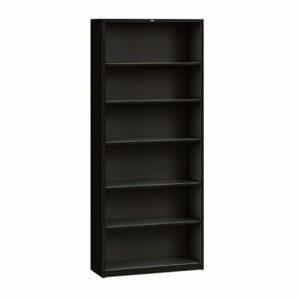 Some of the bookcases are available for immediate pick up or delivery. 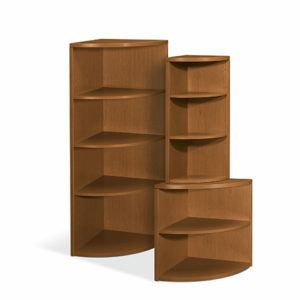 Here are just a few of the bookcases you will find in our 26,000 sq ft showroom!